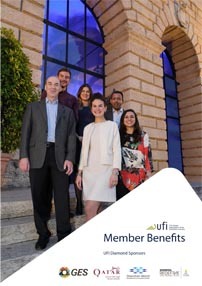 The UFI European Conference theme this year is Future Proof Exhibitions. Keynote speaker Francis Friedman, President of trade show consultants Time & Place Strategies plans to have a strategic conversation with delegates on Future Building and Future Profiting of Exhibitions. What does this mean? Trade fair organizers may no longer simply produce an annual event in a building with aisles, booths and conferences over two to four days. As business-to-business moves to a digital e-commerce model, organizers must further commit to being a 24/7/365 integral part of the industries we cover. This will involve producing content in any and all formats such as: white papers, conferences, events, and instructional videos. By comprehensively knowing your industry, creating the appropriate personality of your show and branding it accordingly, you’ll be well on your way to future proofing it and making it even more valuable, compelling and integral to the digital future of the industry you serve. 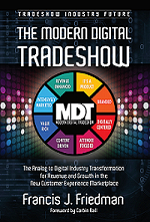 Late last year Friedman released his new book, “The Modern Digital TradeShow” on the digital future of our industry. Available as a free download at www.ModernDigitalTradeShow.com, it has been downloaded by thousands of industry professionals from around the world. He will deliver the keynote closing speech at the UFI European Conference on May 4 in Verona, Italy.